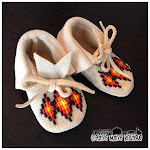 New to my shop on Etsy! 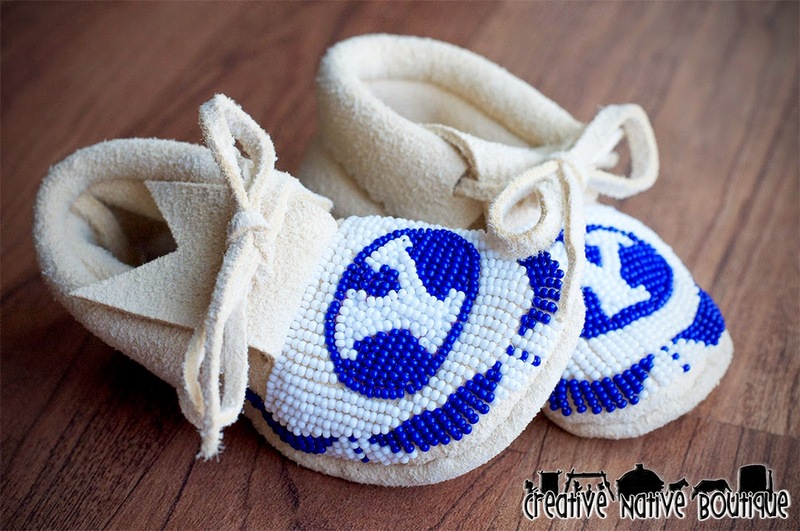 If you're looking for that perfect unique gift for that upcoming baby shower, or your newest addition...look no further! 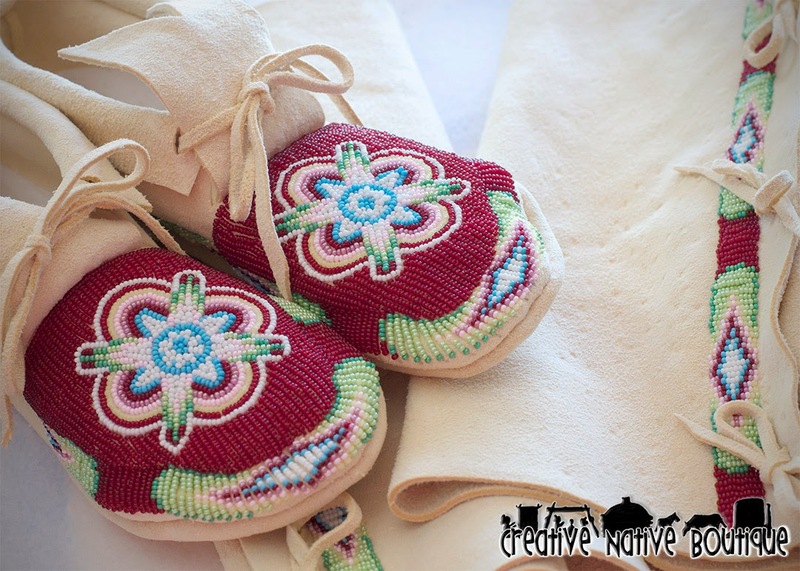 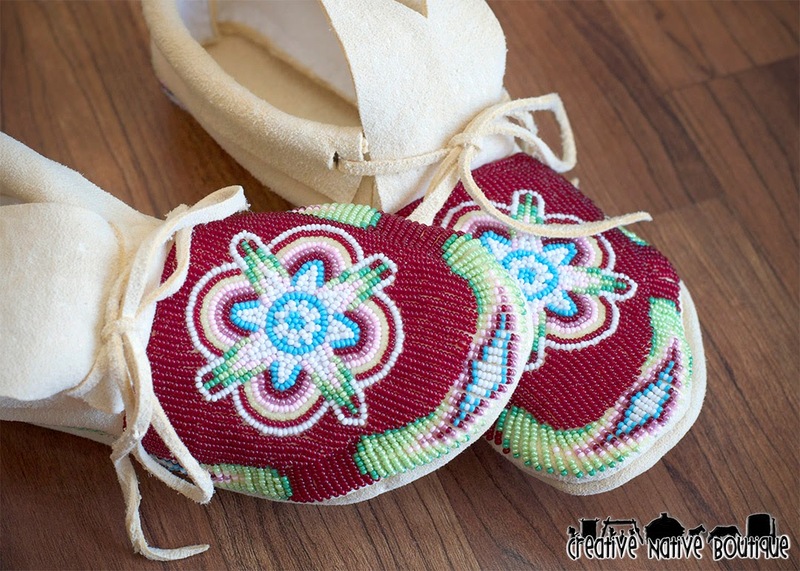 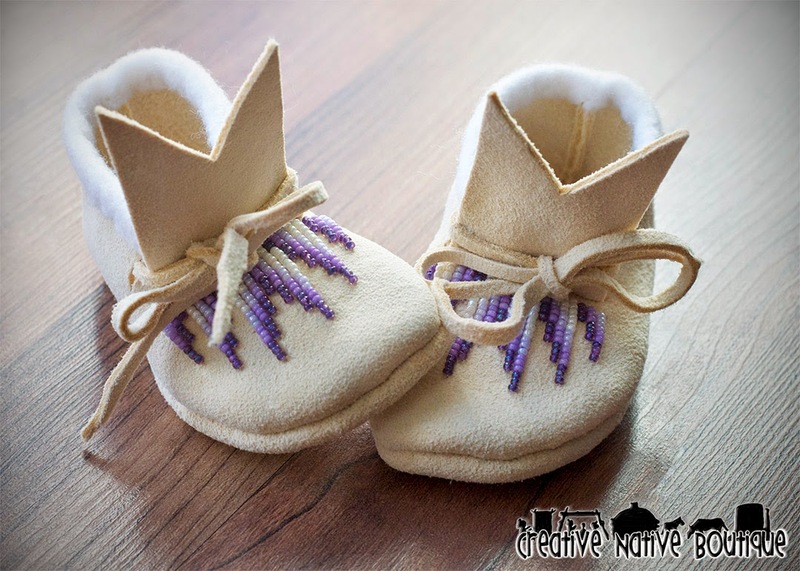 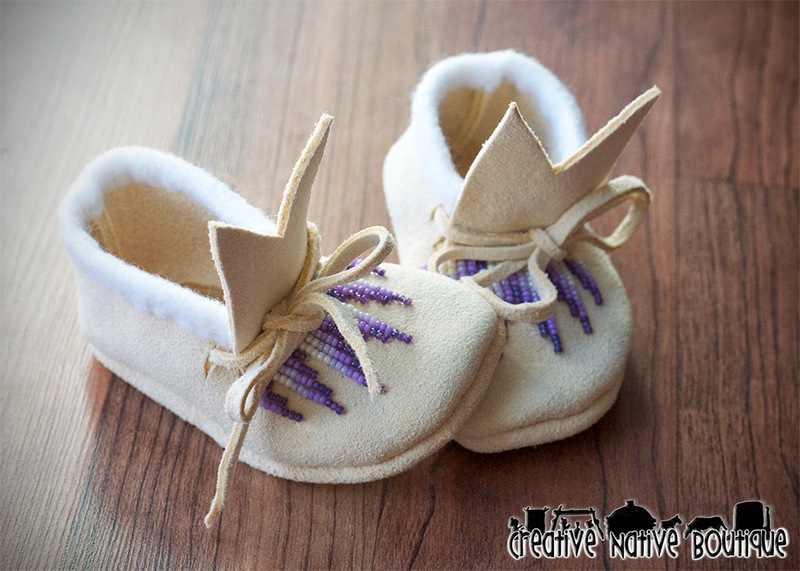 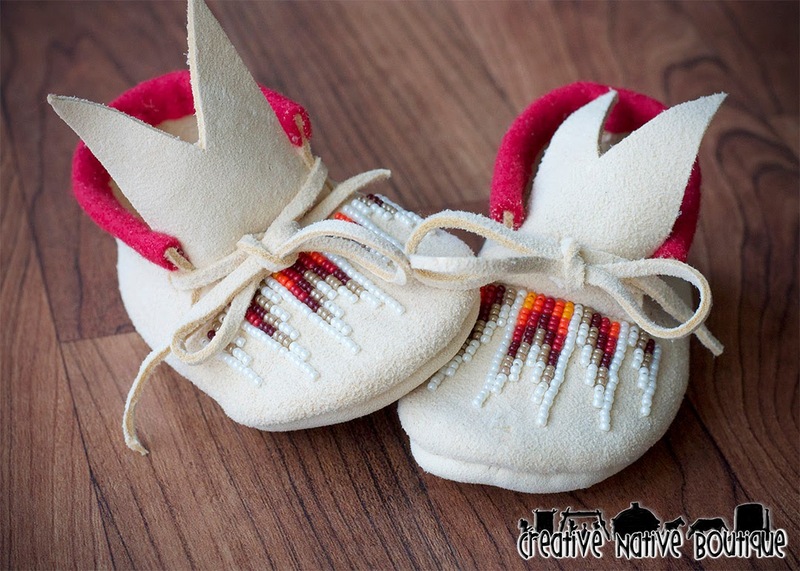 I have added these two adorable beaded baby moccasins to my shop on Etsy. 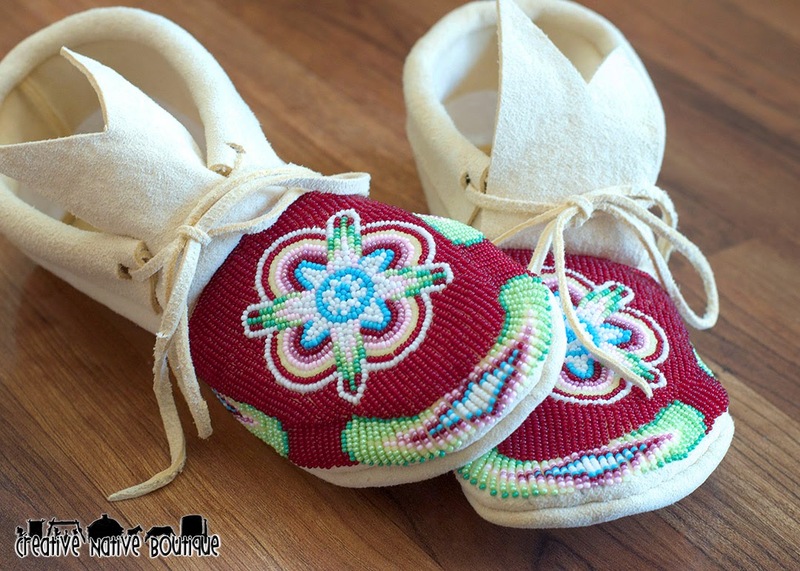 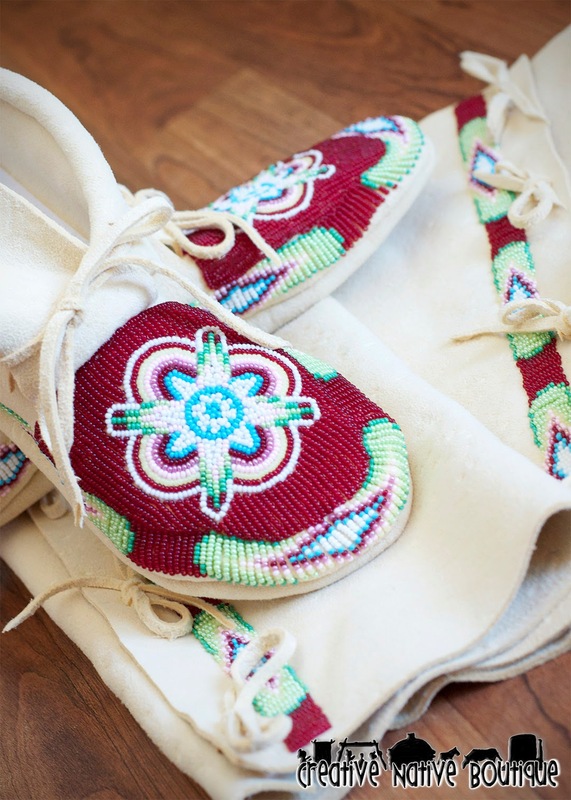 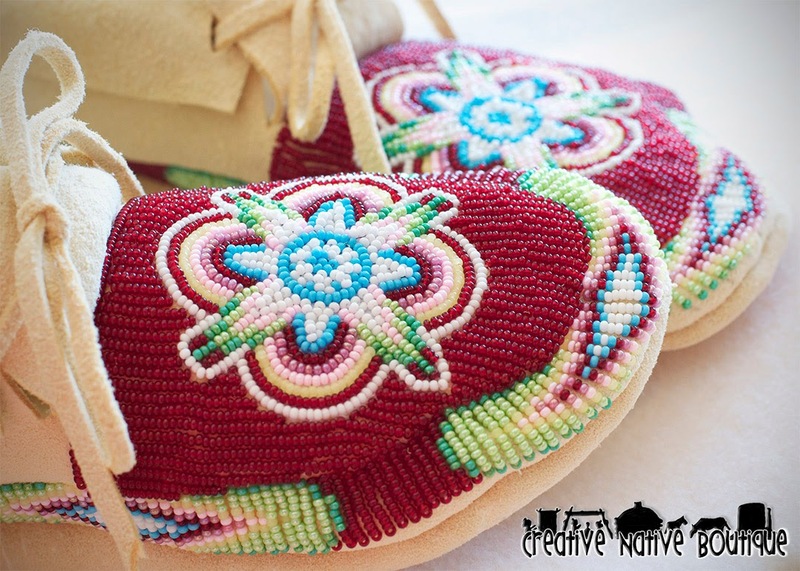 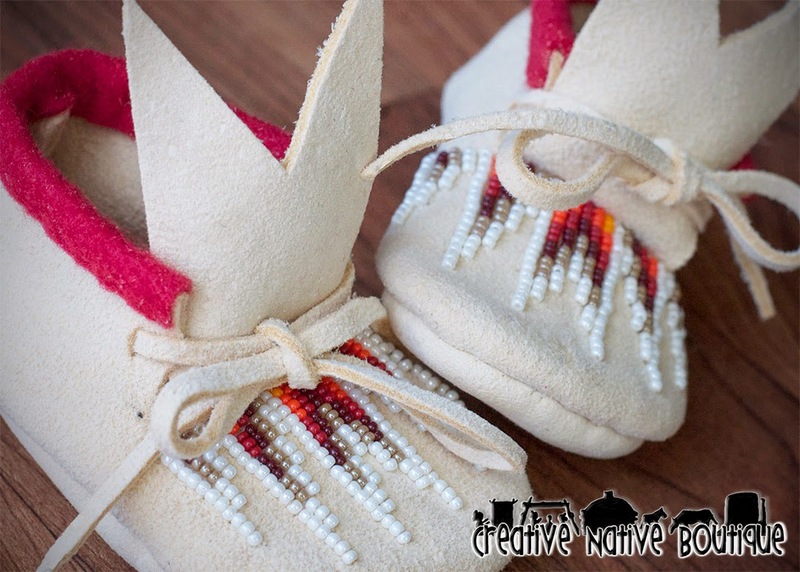 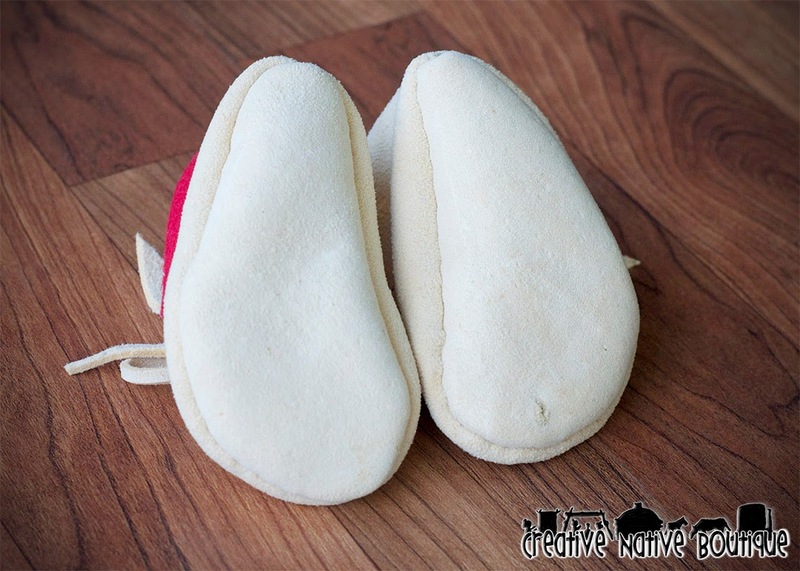 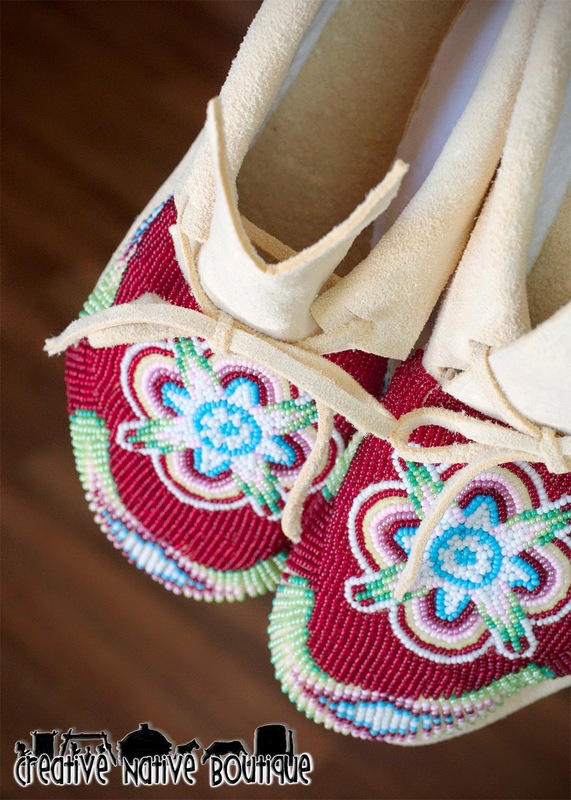 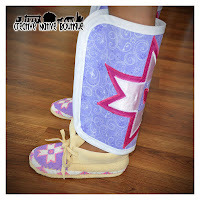 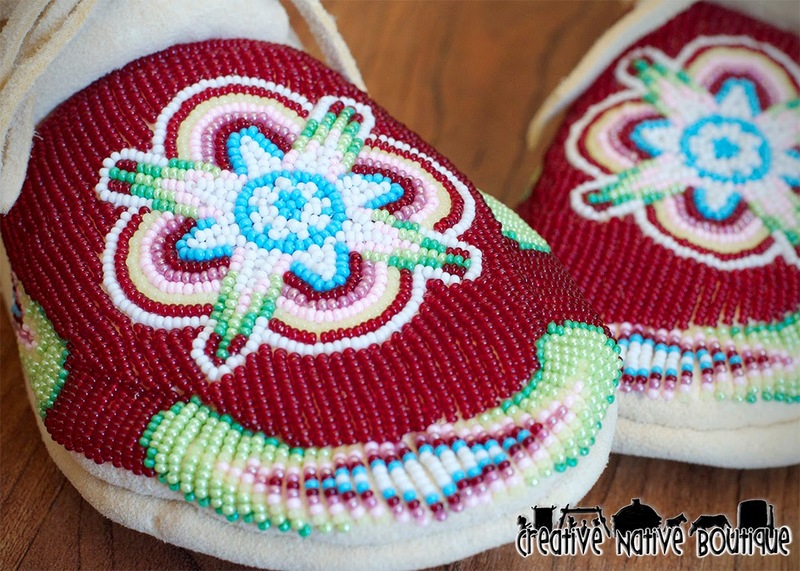 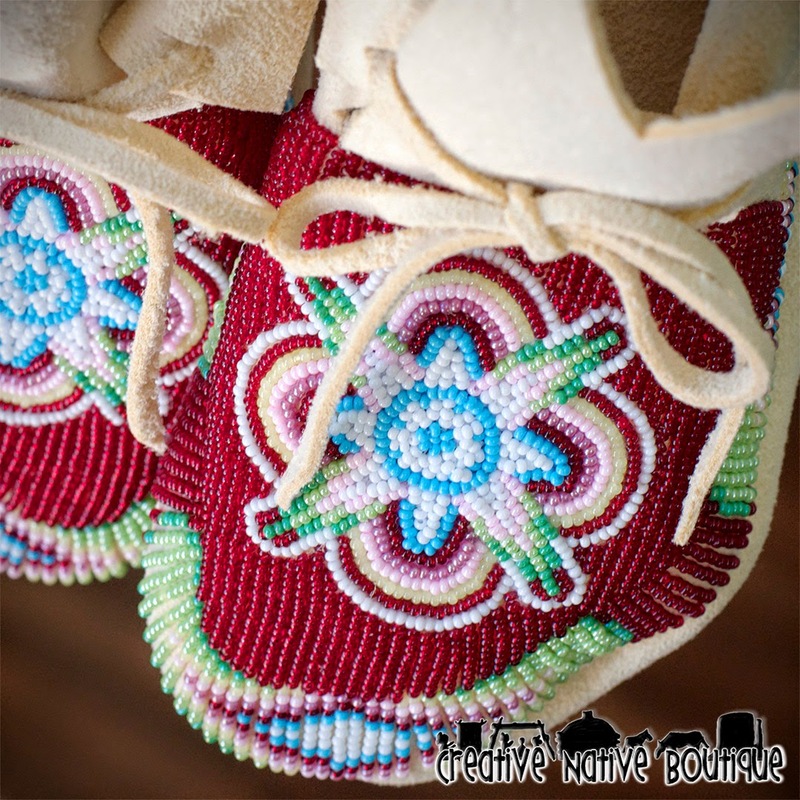 They are both hand beaded with a traditional Shoshone-Bannock design on to tan deer hide. 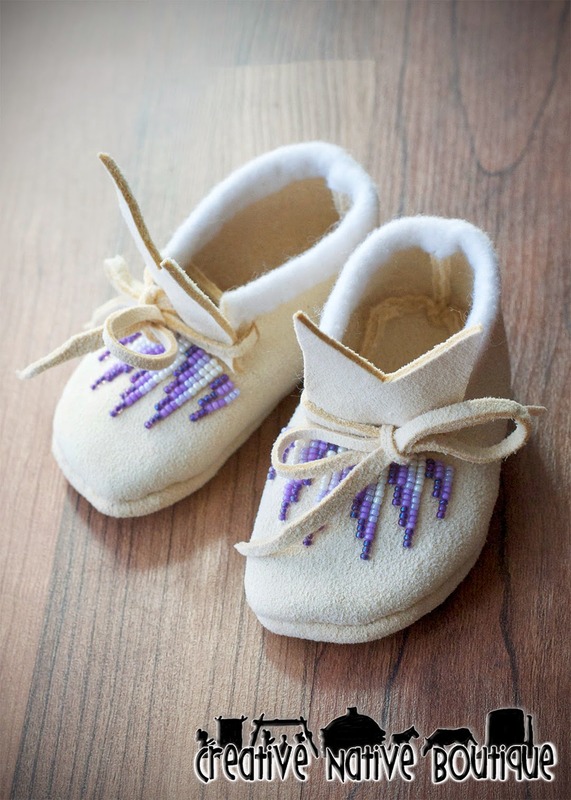 The first is a mixture of dark purple, lavender, light purple & white with a soft felt trim around the ankle. 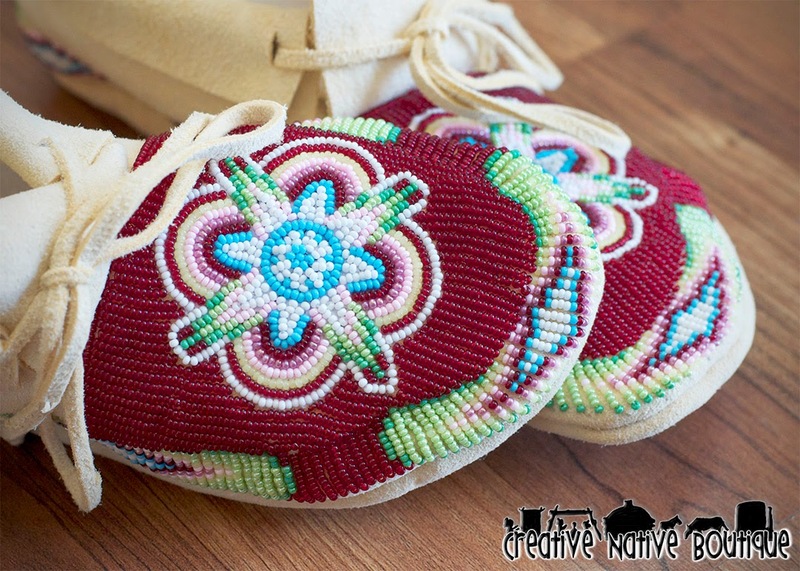 The second is beaded with red, burgundy, orange, brown & cream. 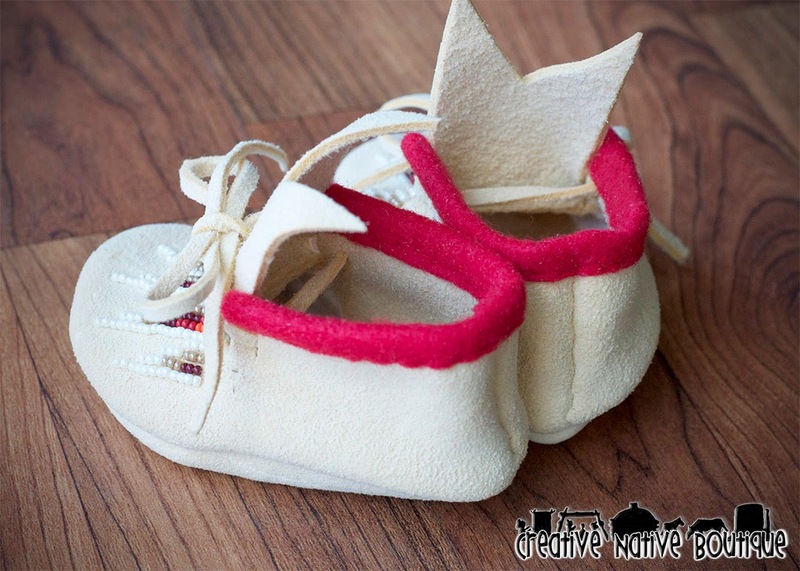 They have a soft red felt trim. 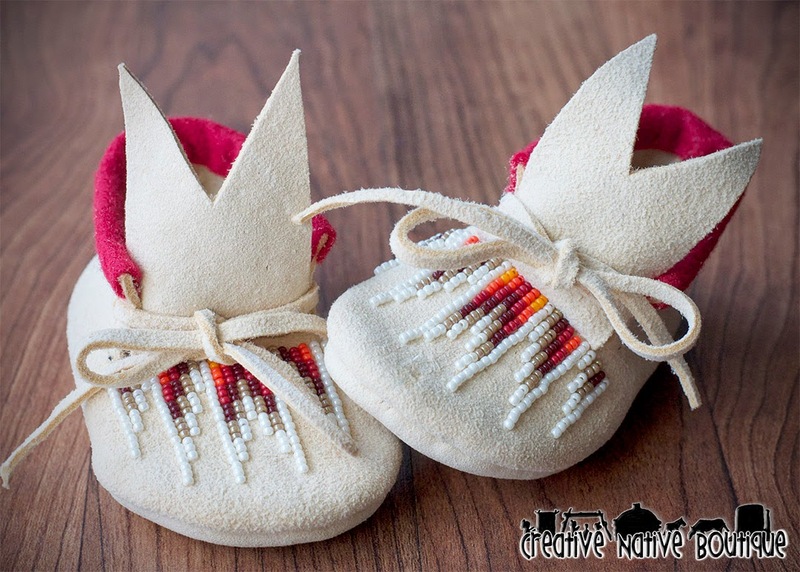 These are gender neutral! 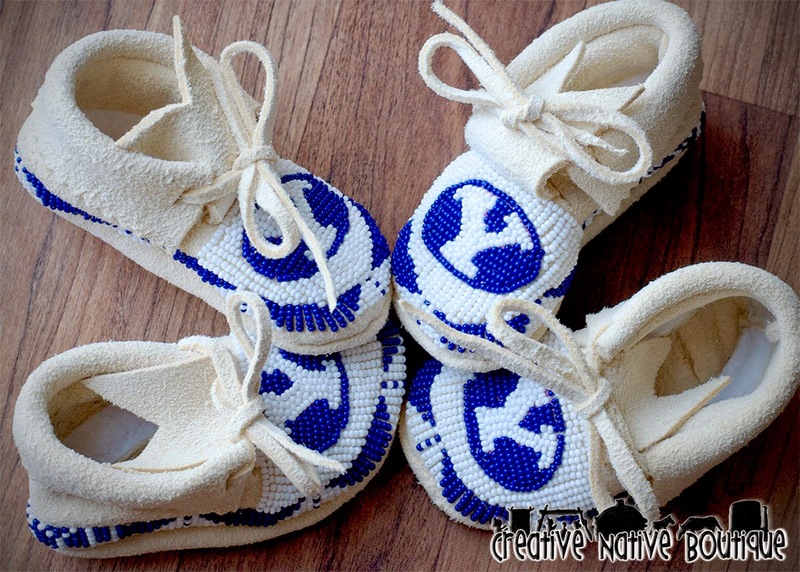 This itty bitty BYU Cougars fan and his friend will be turning heads at the next Football game! 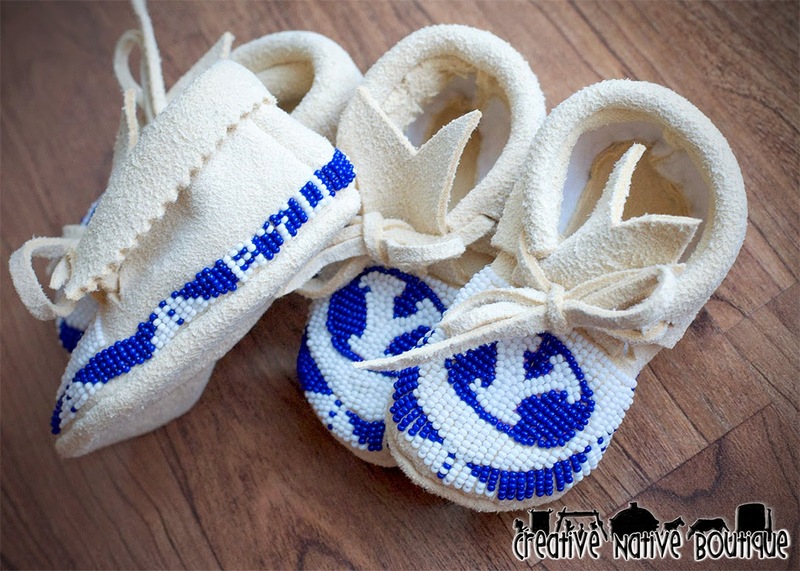 I made these two pairs for a friend and they turned out so cute! 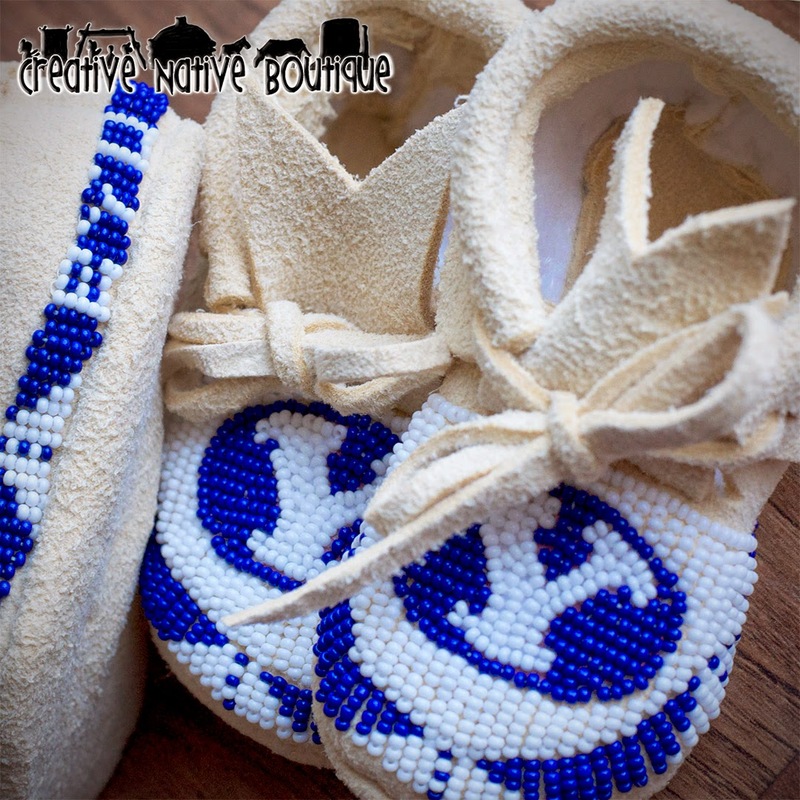 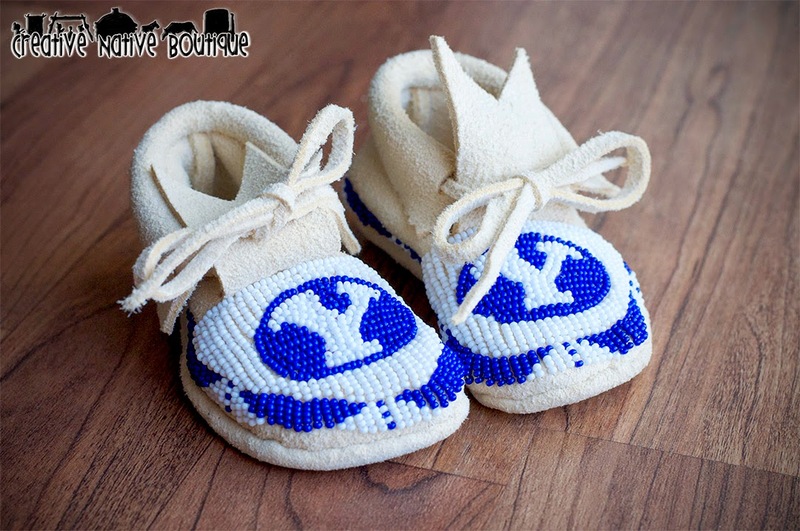 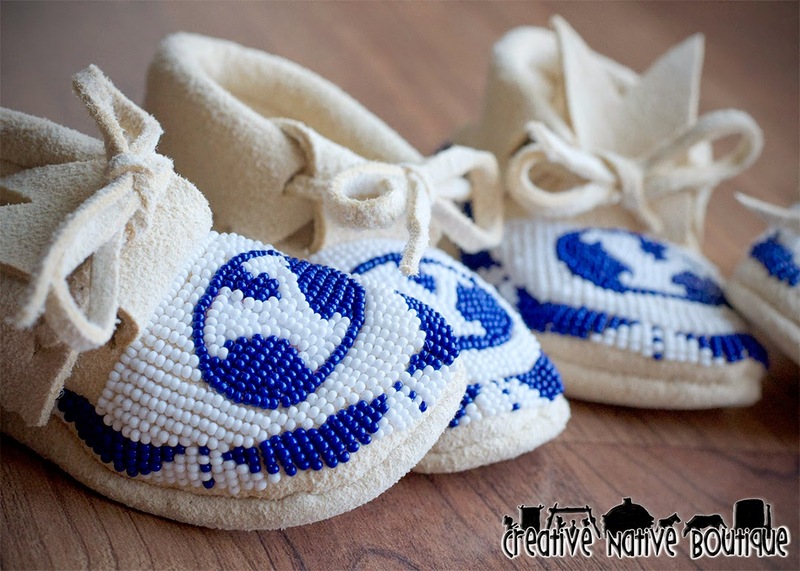 They are fully beaded baby moccasins size 2 with custom BYU design. 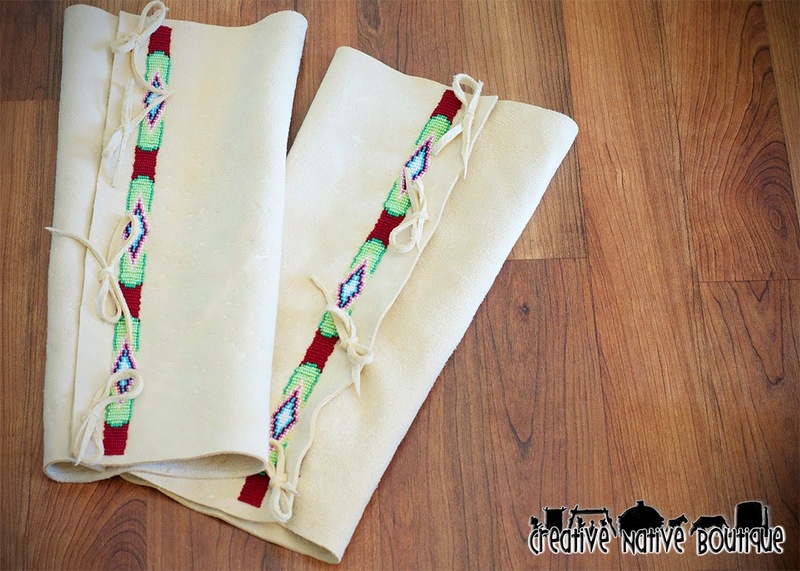 This pretty set is going to be on it's way to South Dakota soon! 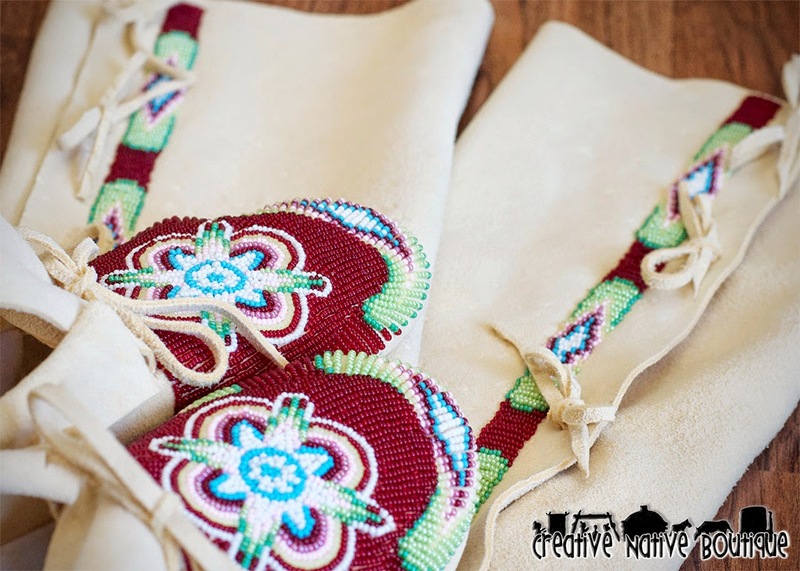 Everything turned out so beautiful! 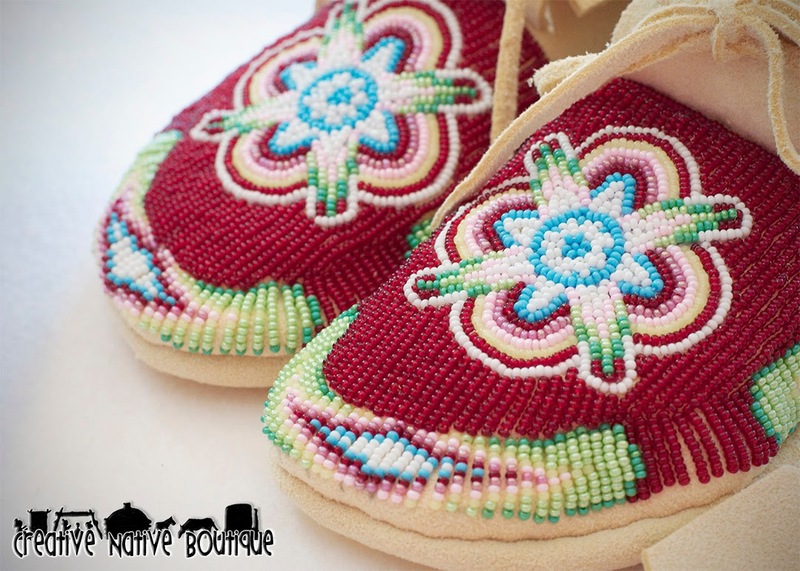 They are fully beaded women's moccasins size 7 with matching deerskin leggings.